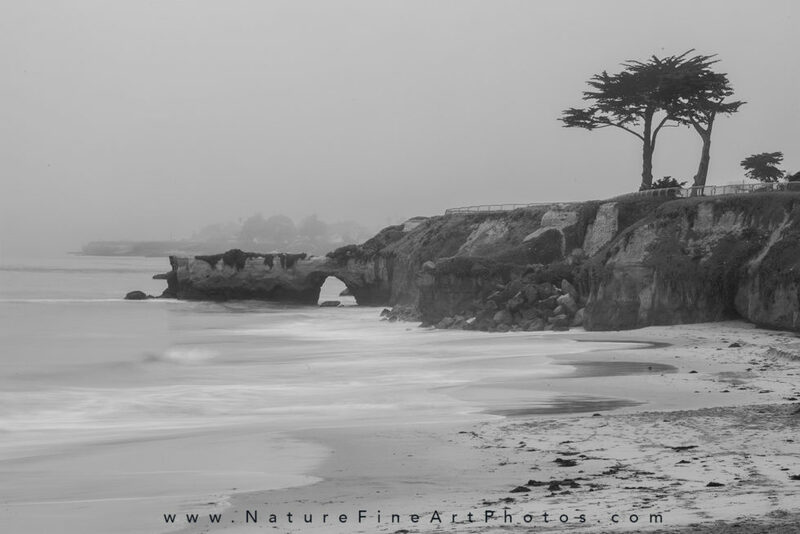 A black and white photo of peaceful foggy morning along the coast in Santa Cruz, CA. Nature’s beauty is all around us and black and white photography can capture the beauty in a single photograph. An effective black and white photograph should stir up some emotion about the photograph. The lighting, contrast and tone add to the mood of the image which tells a great story. I love that the time of day to photograph is not as important in black and white photos as it is in color because the light is forgiving. Even a cloudy, gloomy day can make an excellent photograph. I aim to capture the beauty of the photograph in such a way that you can experience the image as I did while I was shooting.